The beautiful Alaura tangle comes to us from Taiwan CZT Diane Tai. Earlier this year Diane shared her Qian-Long and Lantern-Pho tangles with us. I think Alaura will keep you tangling for quite a while. It sure has me hooked! 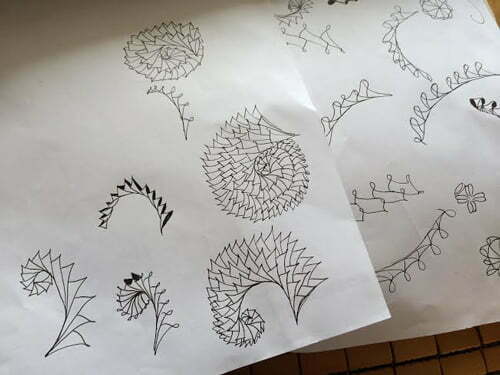 That post by Rick is where he explains what “drawn as a tangle” means, and I’m quoting that entire section here because it is central to the Zentangle Method and determining what makes a tangle. It also has to be done without any underlying pencil structure or preplanned grid. I did not know that Aloe is “a genus containing over 500 species of flowering succulent plants.” I’m familiar with the Aloe Vera plant and have used its gel faithfully as a moisturizer and to magically treat minor cuts and burns for many years. But the Aloe in Diane’s photo is simply stunning. “Like Rick dedicated the pattern Assunta to Maria and Maria dedicated Rixty to Rick, I was greatly inspired to discover a pattern for my mother (Laura Liu, CZT#4) as well. I was writing out her initials L & L repeatedly connecting to one another while rotating the paper, and to my surprise a beautiful spiral pattern was formed. I’d therefore like to dedicate this pattern to my mother who introduced me to Zentangle and a million other great things! I have no doubt Laura will be honored by her daughter’s tangle. Here Diane shares her sketches showing how Alaura developed. I won’t kid you, I found this one a challenge to draw. I was fine up to Step 4 where the rounding is added, but then I got a little confused going outwards from there. It takes a bit of experimentation to get the rosette’s spiral under control too! Two pieces of advice I can offer: first, draw your L’s with a slight ) curve to them. Second: turn, turn, turn your tile! I’m not honestly sure I’ve even got it right but I’m going to keep at it because it is a mesmerizing tangle to draw and I want to play with some of Diane’s sketch versions. I especially like the one in the bottom center of Diane’s photo above. Still with me? Here Diane illustrates the step-by-step instructions to draw Alaura. 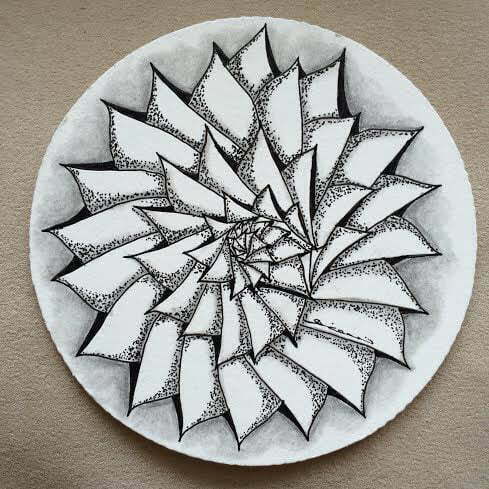 This is Diane’s lovely monotangle Zendala with Alaura where she adds some very effective stippling to the shading. Here the L’s have a bit of a pointy corner and a slight “wave” curve to the bottom of the L. Very pretty result! Wicked cool and what a lovely tribute! This is gorgeous! Like Rick, I am fascinated by the Fibonacci series, and marvel at the mathematics in creation, and how the classical architects brought the principles into their work. The aloe picture is stunning, and the tangle looks an interesting one – I was very surprised, reading on, to see that she starts at the outside, and not in the centre, before building up the size from the outside again. Not what I expected! “Alaura” makes me think of “Phicops” to a degree, especially when it’s shaded in the “hollows.” Neat pattern; going to practice this one, see what it looks like coupled with Phicops. I am honored and happy to see this pattern. Alaura will be my favorite pattern for sure. Very beautiful and meaningful pattern! Will practice it often. After doing this tangle a half dozen times I finally figured out that it works best *not* to reverse direction and start from the center in step 5 (see my comment below.) I’m not sure why I felt that I needed to do that in the first place! 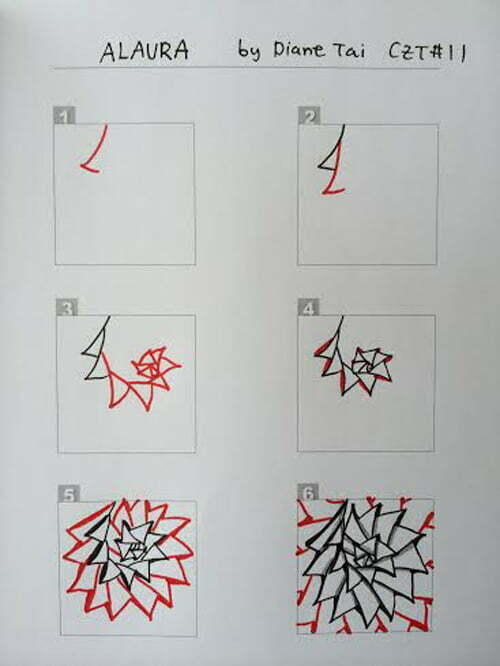 Instead, step 5 is almost exactly like steps 2-3 except that the top stroke of the “L” joins not to the top stroke of the L you just drew, but rather to an arbitrary location on the row just below. Try this a few times and I’ll bet it will start to make sense. I am consistently having trouble at step 5. I’m not sure exactly where to start. I’ve been starting at the center and working out, switching directions to clockwise. But now I am wondering if I shouldn’t start on the outside and continue to rotate counter-clockwise? it is beautiful I start off OK but having trouble with the turn..mine wants to go straighter. will figure it out eventually..
Woah. That’s all I can say. Whoa. This one is gonna take a little while to concur, with the long evenings looming, this will keep me busy. Love it. Awww this is really sweet… I am a beginner and no where near ready to perfect this one as yet! I’m still on my list. I did try and was scattered all over once the tile turning started. I do Love it though and can’t wait to try try again! I don’t know. 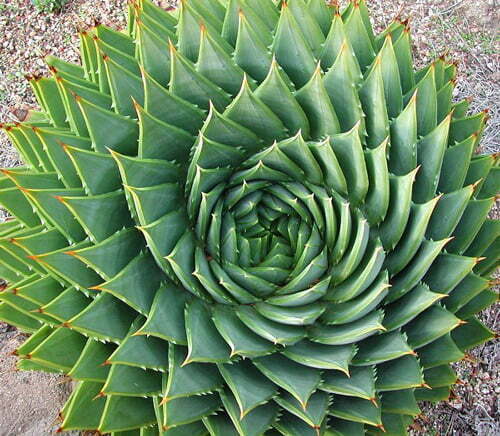 Very difficult and complex despite the underlying simplicity of the inspiring aloe. This pattern has some stunningly beautiful examples (as shown here) but the method seems to “miss something” unless it is just me. 🙂 The golden section “grows” more intuitively than it “draws” perhaps, but I’ve been slightly obsessed with this ratio most of my life and I’m not about to stop now. This method “wants” to use a single spiral which is very Zen (and I’d love if it worked) but it doesn’t quite yield a clean finish and ends up needing to be “drawn” to complete. Sometimes beautiful, but still drawn. The eye is so easy to fool (Thank God! ), trigonometry less so.